So last year I wrote about all these things, and then we moved house and I was supremely busy with getting us all used to our new surroundings, and then there was a security problem and I just took the whole site offline because I couldn’t take proper care of it at that moment. And then, since my being busy doesn’t really ever end, it stayed offline until August this year, when I went to another cob course at Kate Edwards’ and a few people on that course said they’d check out this website when they got home. Now this is the kind of thing that gets me going. ;-) So I’ll just sum up everything that’s been happening, and then I can tell you all about that course! Well, that’s a rather short story as well. As I’d guessed back then already, I’d planted it too early, and the courgette and potatoes suffered in a hailstorm two weeks later. 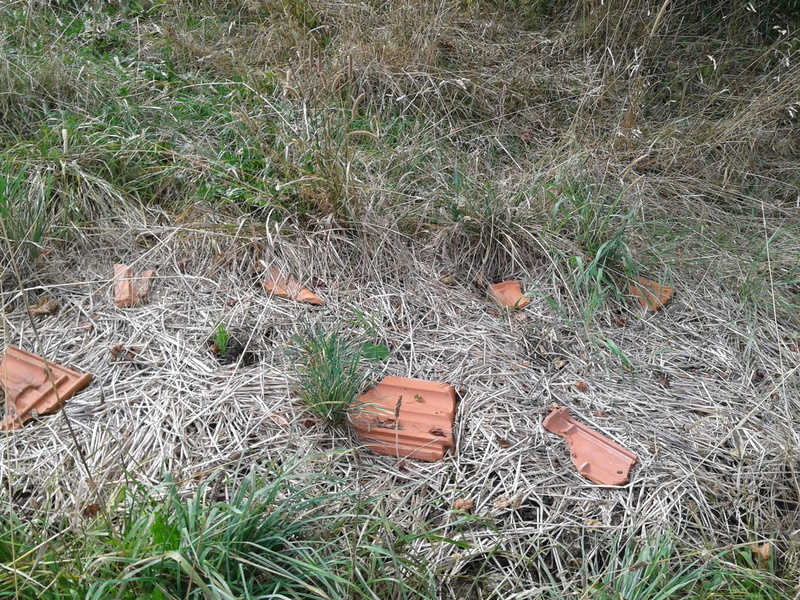 Anything that may still have been left was immediately devoured by the slugs. 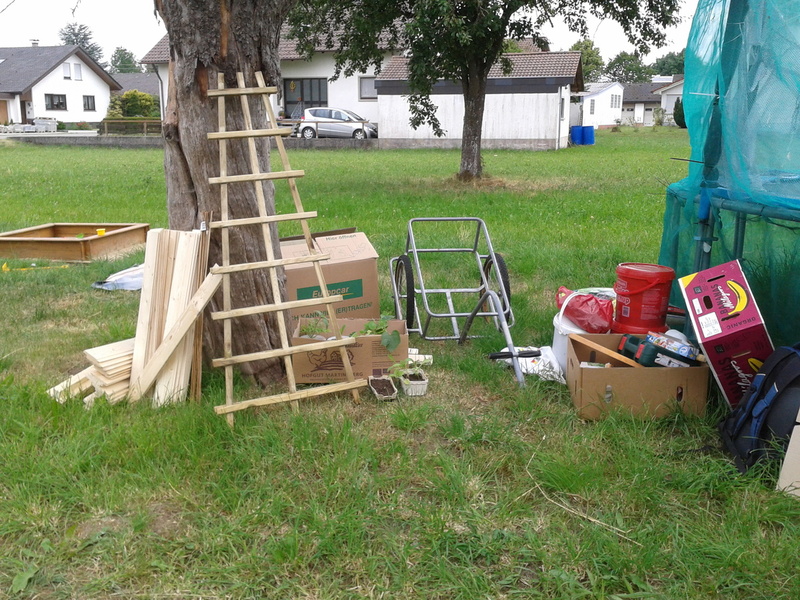 In fact, the slug infestation was so bad that I quickly gave up any attempts at battling them, since while I was still living in Tübingen I could only be around every other weekend or so. 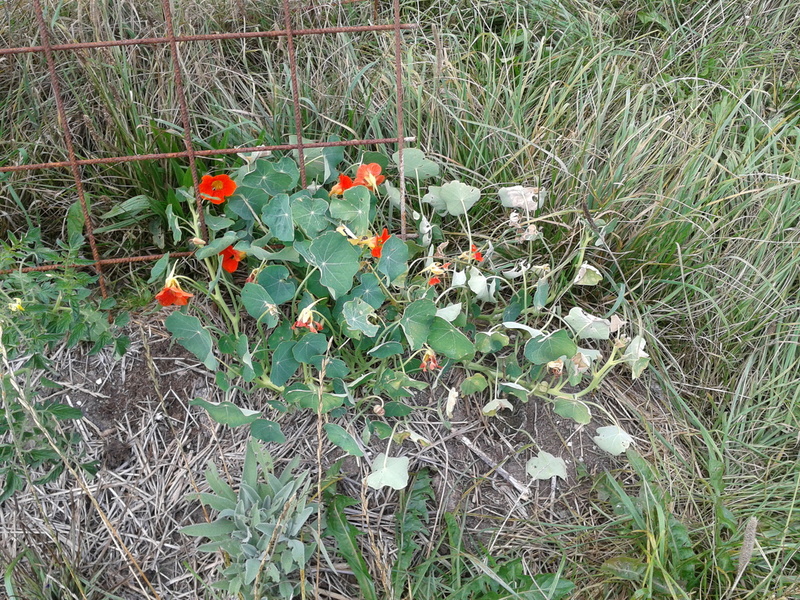 So I completely abandoned the moundlet (it was rather tiny, really), and was surprised to see much later last year that the badly mangled nasturtium had actually survived the onslaught of the slugs and had grown to quite an impressive length, and one lone sweetcorn plant was also growing tall. 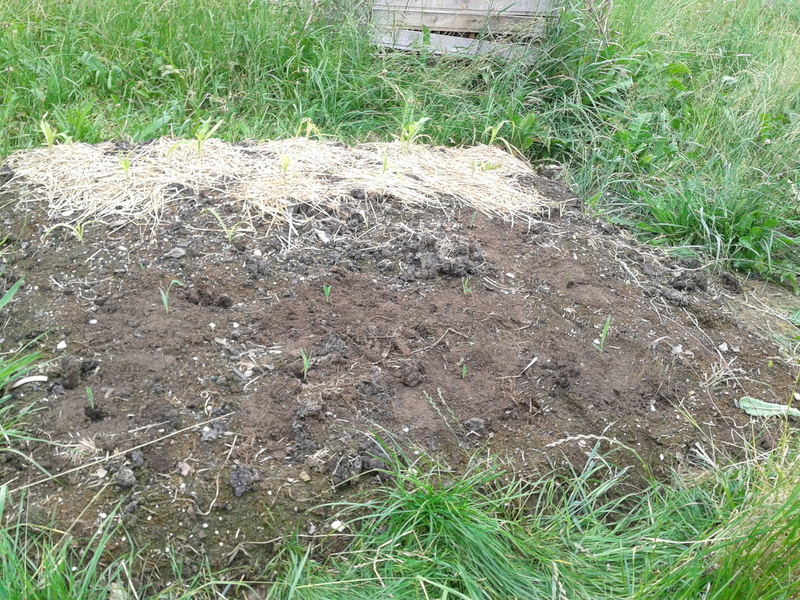 (It may have been popcorn though – I had planted both, but neither in the place where it was growing, so I don’t know.) 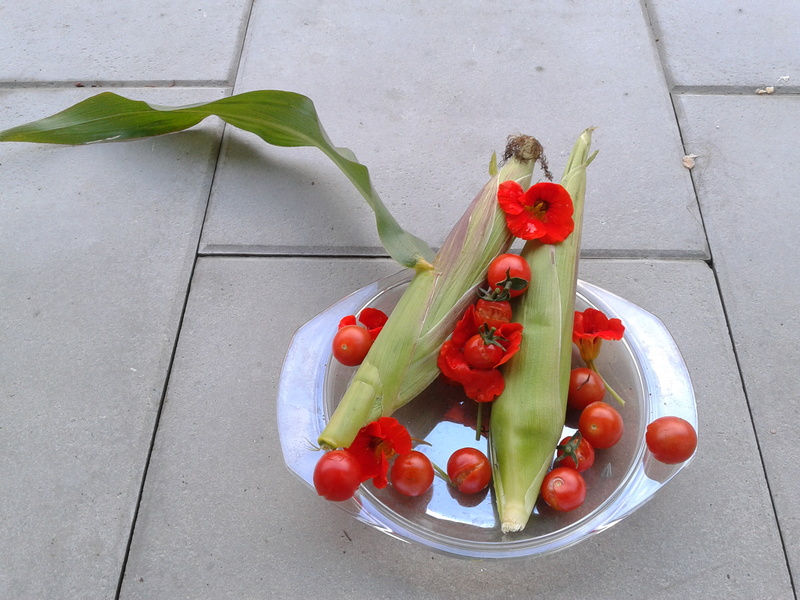 I collected many of the nasturtium seeds and was quite, quite proud of this harvest, but although I did my best to smear some of the sweetcorn’s pollen onto the hairs growing from its cobs, that didn’t really work out. End of moundlet story. 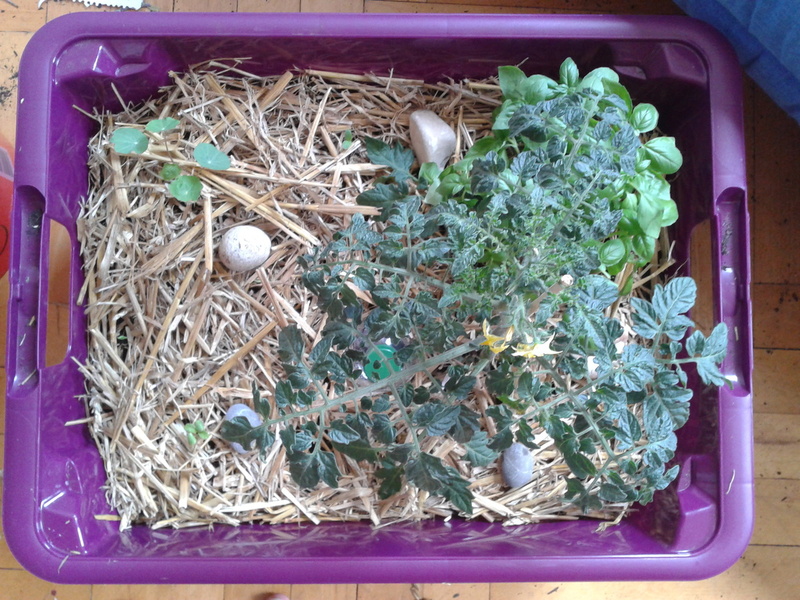 Maybe a month after the moundlet I wanted to give gardening another go, so I thought I’d make a lasagna bed (once more I’d got the idea off Pinterest and it just appealed to me). 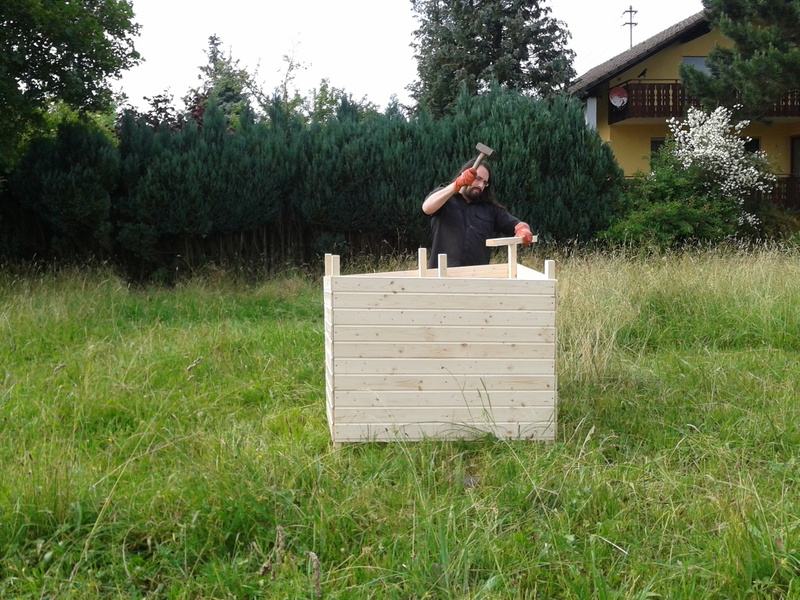 So we spent almost a whole day constructing a wooden frame out of some thin planks and bits of wood from the DIY store (too thin, in hindsight), and filling that with wood (sticks, mostly), then grass clippings, some straw, more grass clippings, and generally layers of whatever we had at hand that roughly fit the brown/green formula. (“Brown” meaning mostly carbon, and “green” meaning high nitrogen content, so fresh cuttings and kitchen wastes etc.) One of those layers was my two bokashi bins that had sat around and matured for quite a while. I’ll make it short: That was the single most awful stench of my life. Ask my SO about it, I dare you. Not sure whether I hadn’t kept it tight enough under the lid, or whether my homemade bran just wasn’t any good – I’m guessing it was a bit of both. However, that doesn’t seem to have been any kind of problem for the lasagna bed. We’d filled it almost to the top (waist-high), finishing with a thinnish layer of store-bought vegetable soil, put in a few more preraised plants (one watermelon, some pumpkins, cucumbers, sunflowers, borage, a pea or two, and two or three bushy nasturtiums), and sowed onto what was left of the space three different packets of flowers for bees and butterflies. We finished late that evening in the pouring rain. 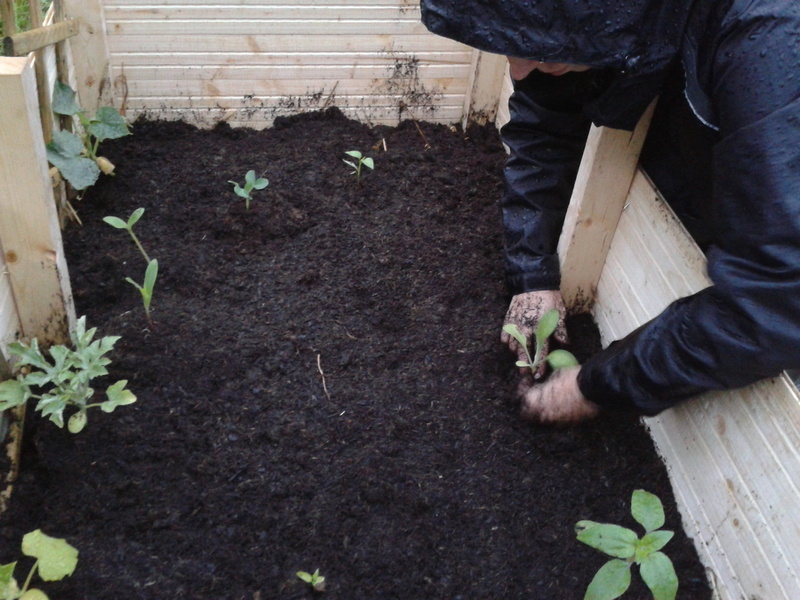 Two days later, the lasagna bed had sunk down quite a bit, and the surface was covered in many green sprouts. Next time we checked, the slugs had eaten absolutely everything. 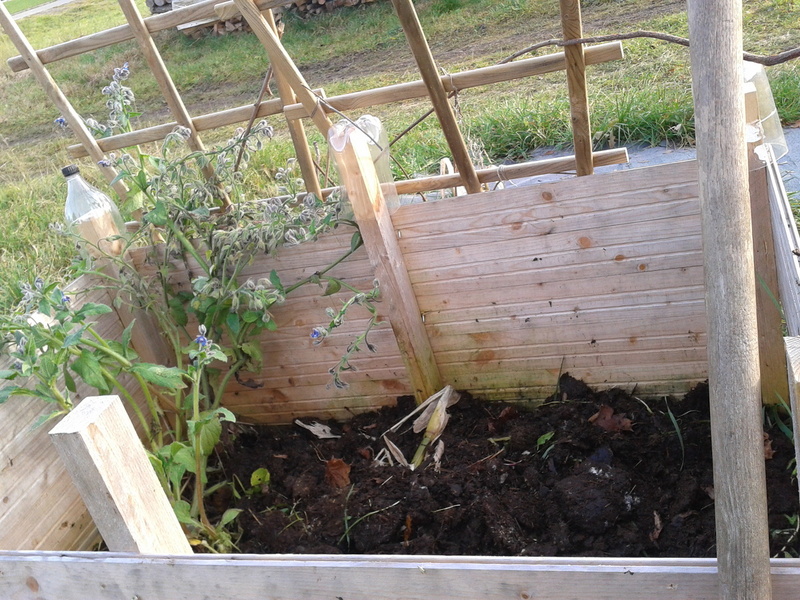 Well, not quite: The borage and nasturtium survived, and the borage grew huge, and was always surrounded by bees right into November. That was really lovely and I liked it a lot. Pity about the rest though. 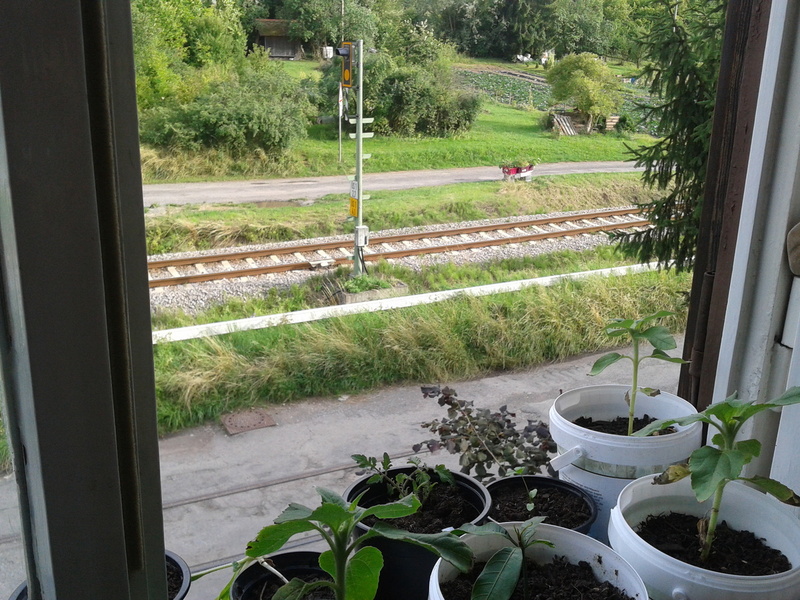 Since I would still be in Tübingen for another while, but I so wanted to do some gardening, I bought four large plastic boxes, drilled some holes into the bottoms, filled them with small sticks and store-bought soil, mostly, and put most of my plantlets from the windowsills in them (the rest went into the lasagna bed). There was one with a cherry tomato, some basil, some carrots, calendula, radishes and a sage plant; the others had cucumbers, a watermelon, a dwarf sunflower, some more carrots and radishes, a garlic clove or two I think, more bushy nasturtium… and probably a few more things that I’m forgetting right now. 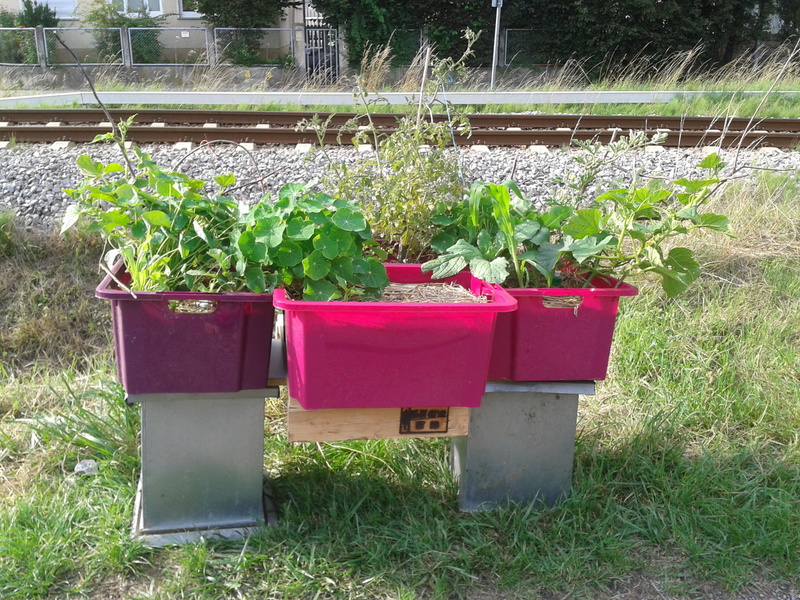 I put those in a sunny place while we were still in Tübingen, but had some slugs problems there as well before constructing a kind of bench to get them off the ground. 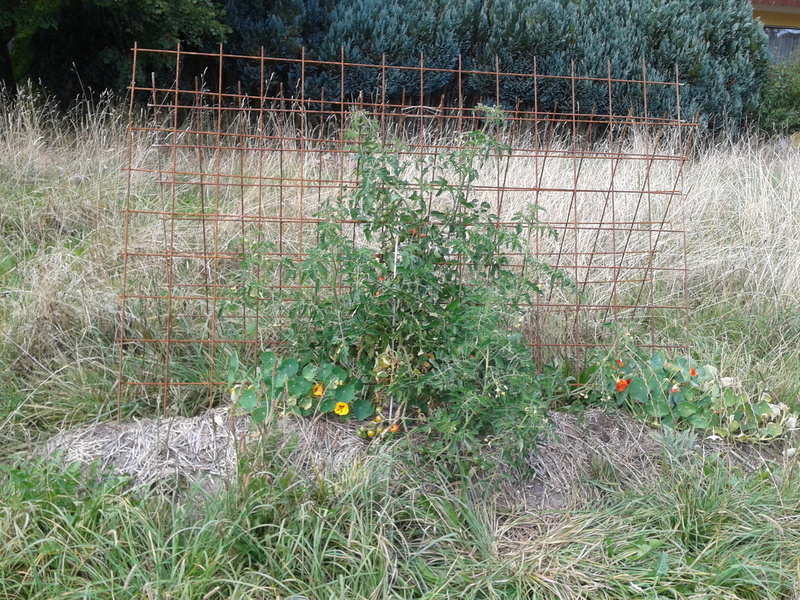 We had a few tomatoes from them, two or three smallish cukes, a handful of sunflower seeds much later that year, and one small but absolutely delicious watermelon. (And a few calendulas too, plus nasturtiums aplenty.) The basil and radishes were absolute slug favourites and got eaten in no time at all. After the move I set them up on the plot in front of the lasagna bed, since it’s a sunny spot, but in an ill-advised attempt to keep the slugs away I put rough roofing paper underneath. 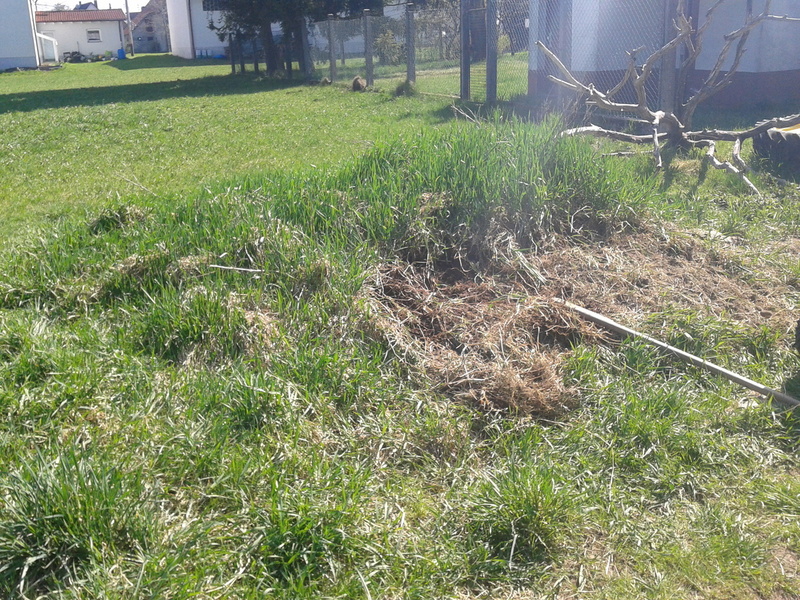 That got all the boxes waterlogged, and everything was dying in no time, the plants caught one of those plant diseases that you had best prevent by providing ideal growing conditions, including drainage. Oh well… lesson learned. I’d planted four seeds from one of my favourite kinds of apple (Topaz), just to see what would happen. Two sprouted, and in November, just before it started to snow, I still had one little treelet left. 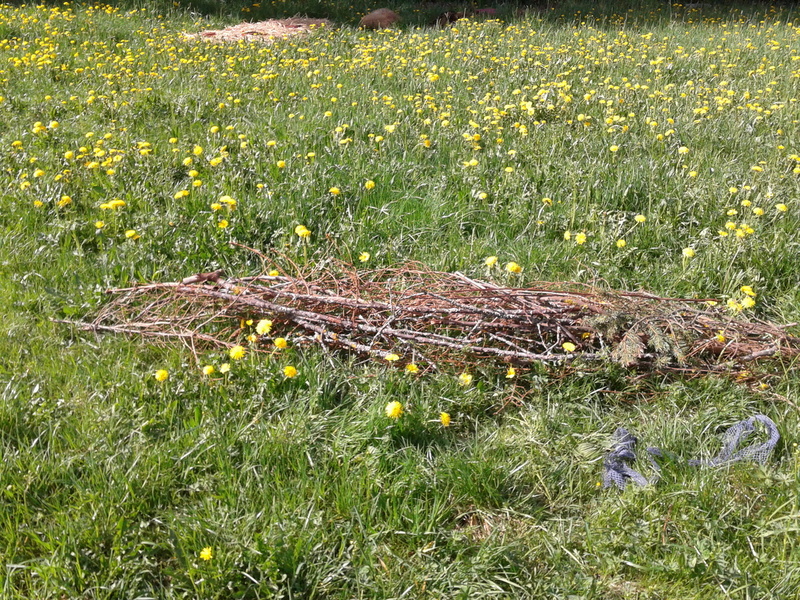 So I thought, whatever, I’ll just put it in the ground now and either it’ll still be there next year, or else it won’t. 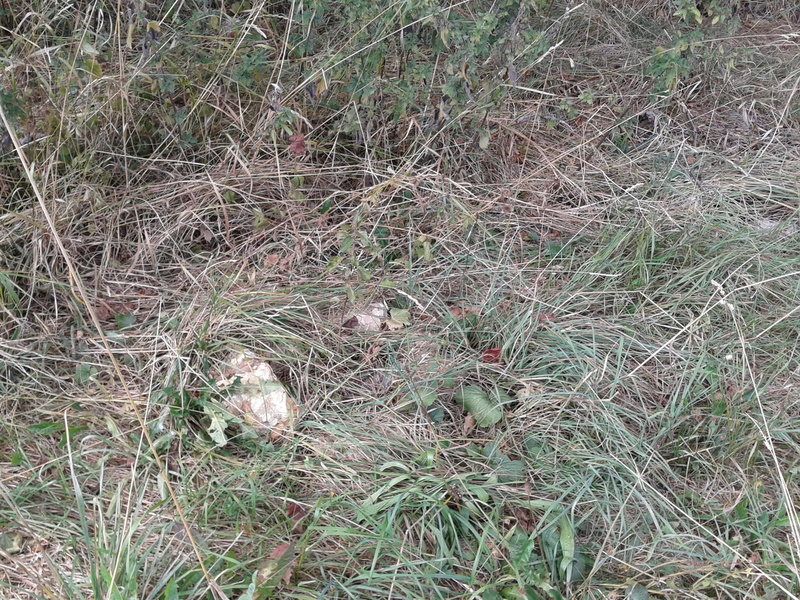 I put a mushroom in with it that I’d seen growing underneath the most prolific hazelnut tree ever, hoping it might be a compatible kind of mycorrhizal fungus. 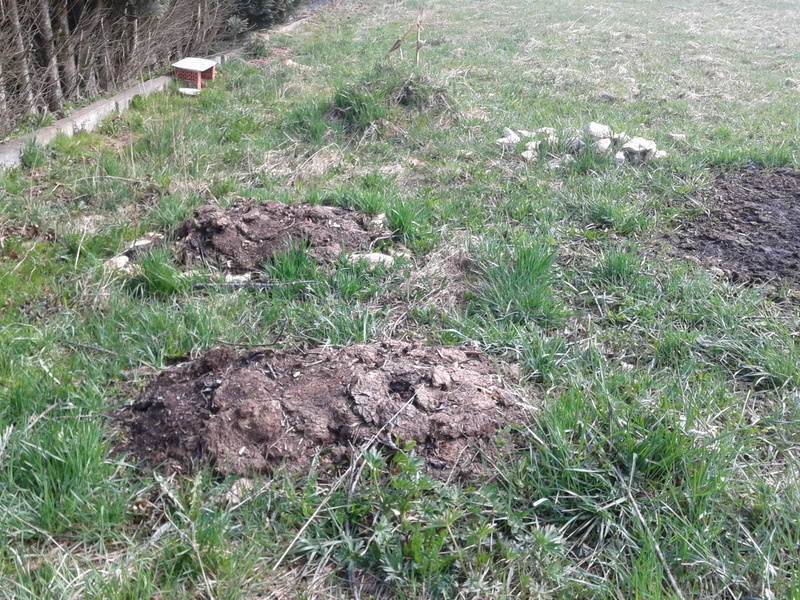 I also planted a couple of hazelnuts from that same tree in the vicinity, just to see what would happen. I spent weeks wondering where I’d put it this spring! I just couldn’t find it at all. And then one day, it was just there, it had grown a bit and was very definitely my little apple tree. 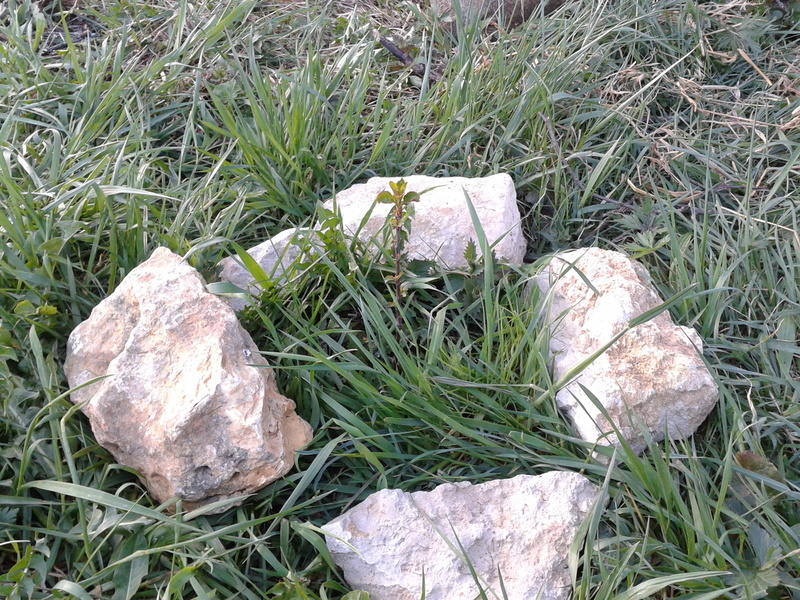 I put some large white stones around it so nobody would tread on it by mistake, and I’ll just leave it as it is and see what it’ll grow into. 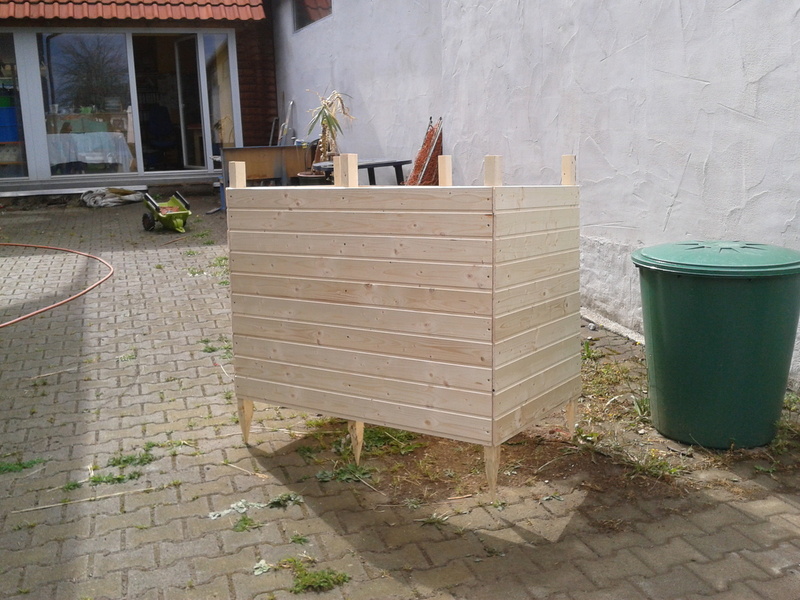 After the borage in the lasagna bed, which by then had sunk very low to less than half its height (makes me think I must have done something right there :-D), had been visibly damaged by the first frosts, I decided to just repurpose that wood frame as a compost bin. 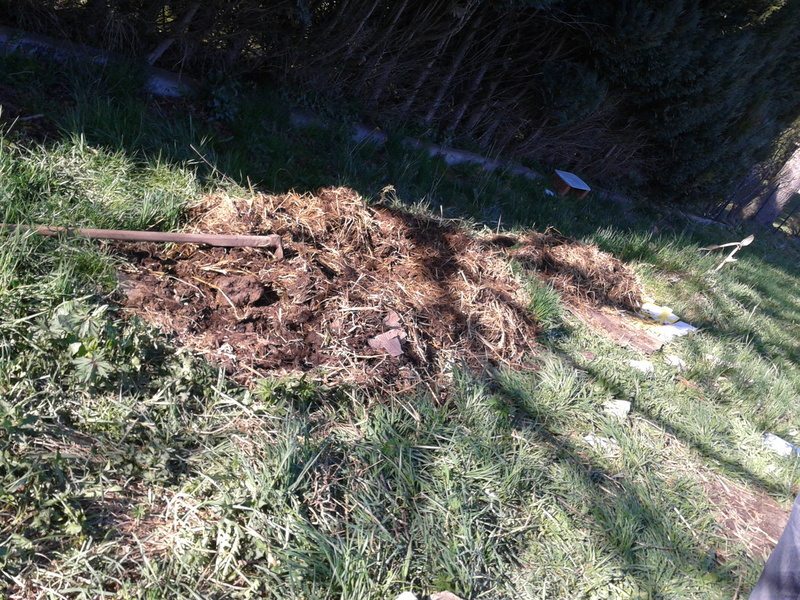 I happened to have acquired a PILE of goat manure that was sitting around on the plot, so now and again I’d go and shovel some onto that bed to add a layer onto all our kitchen scraps. I did that throughout the winter, when the weather would allow it, and once the sun was out again it quickly started to shrink down again. 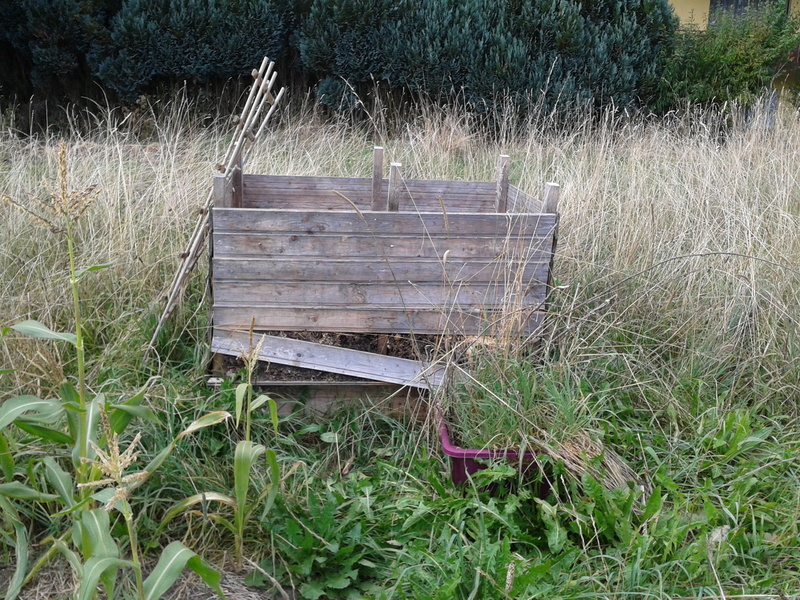 I’ve used it as our compost bin all through this year, and it’s down to half the frame’s height again, with the soil underneath looking nice and black. 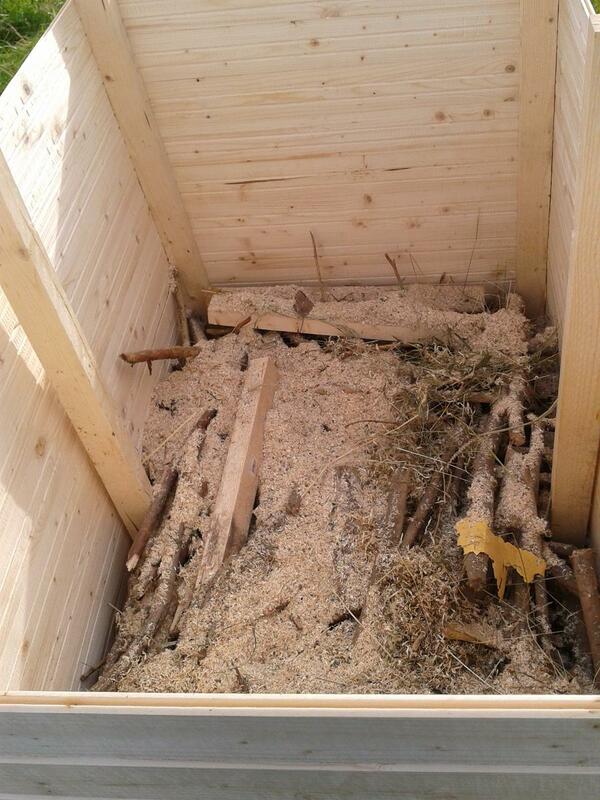 However, the planks really were too thin, the whole frame is falling apart around the middle. I intend to take it apart and get a closer look at what all that stuff we’ve thrown in turned into, but that’ll probably have to wait until next year. 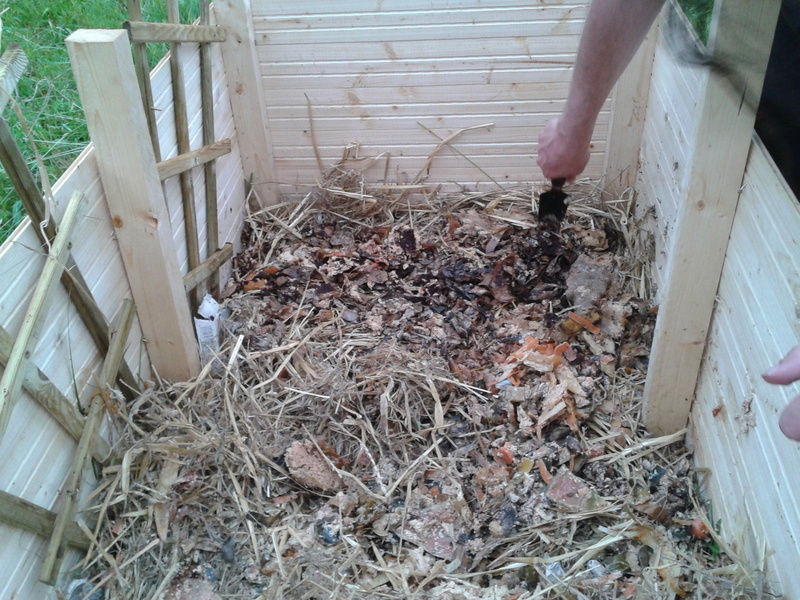 Actually, composting is the only thing I’ve done consistently and with a high success rate this year, simply because I had so much going on again and didn’t have the energy to battle the slugs properly. 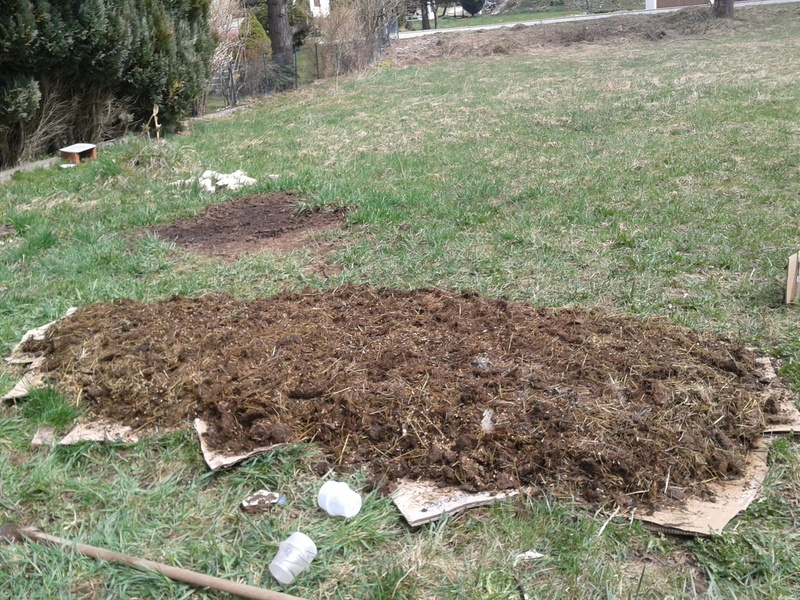 I made everything with goat manure this year since I had so much of it waiting to be used. 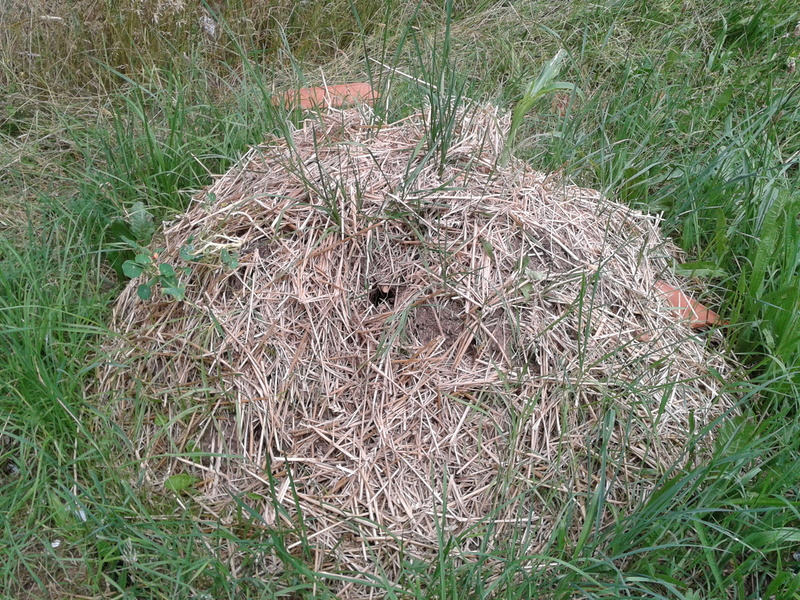 I covered a small patch of meadow with cardboard, got it thoroughly wet, then put some fifteen centimetres of manure mixed with some husks and straw on top, then spread a really thin layer of gardening soil over it and sprinkled the remainders of the bees-and-butterflies-packets onto that. I also wrapped the thing in clear plastic for two or three days but took it off after realising it got quite warm underneath. To make it short: Absolutely nothing grew there (I sowed some more after the plastic was off). 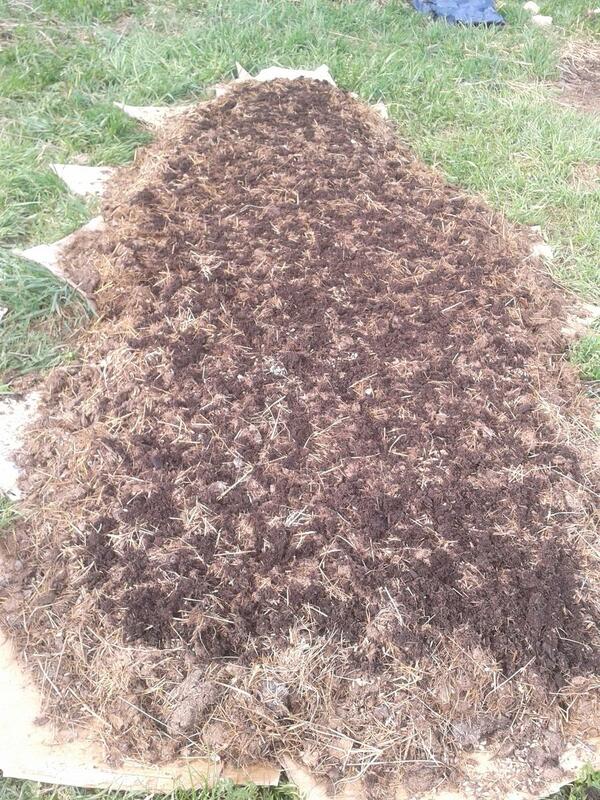 I don’t know whether the slugs were too quick, or if the young shoots didn’t like the manure, or whatever. We also had a bit of a bump in the garden (on my sister’s side of the plot) from where, back in the days, a dungheap used to be. It also seemed a little higher than it actually was, because the grass grew SO lush and tall there! My sister wanted to flatten it, and of course I wanted to put that perfect soil to good use. So I took the thing down. 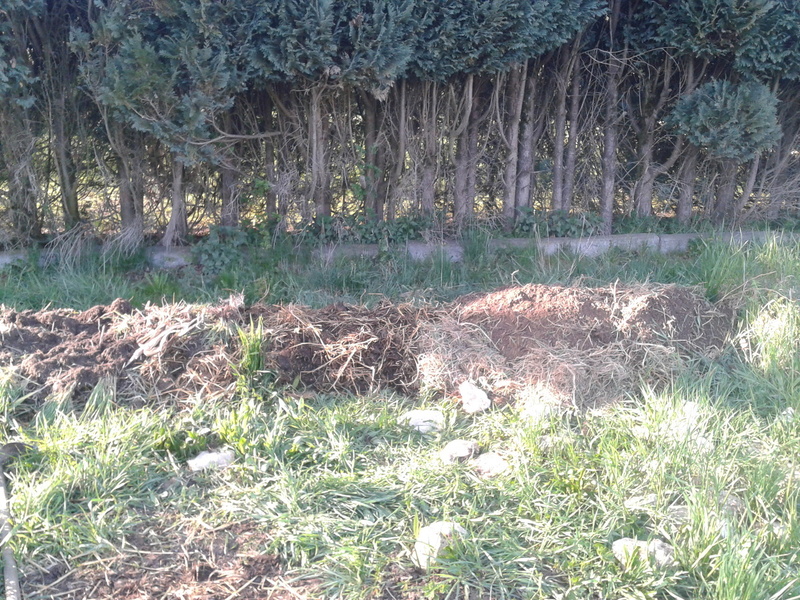 I’d fluffed up the manure and extended the old moundlet from last year, to join up with the two very small compost heaps I had made close by, and in another (sunnier) place I put down some branches and made another elongated heap with a little straw mixed in. 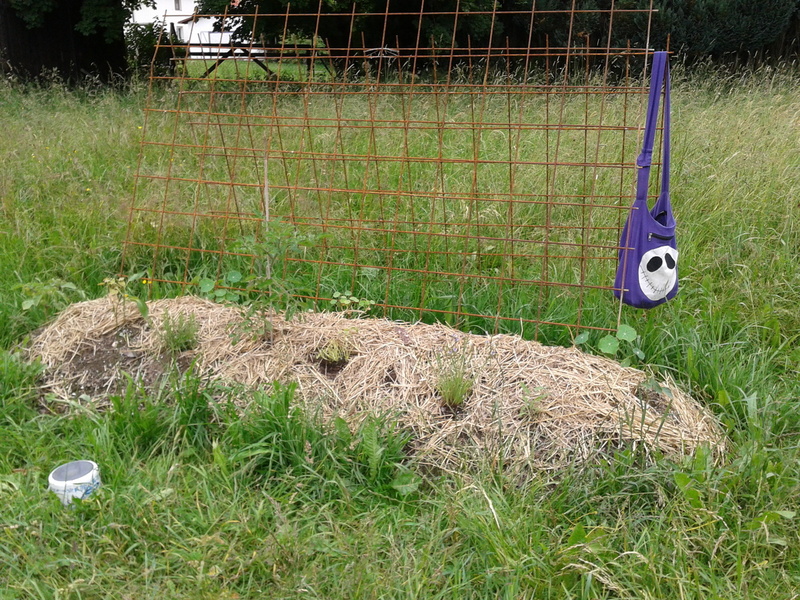 I used the soil from the old dungheap to top both of these off, taking a lesson from the failed flower bed, but I only planted the second heap bed, not the joined up moundlet-and-compost-heaps. Partly because I realised I’d chosen a not-so-sunny spot for the latter, and partly I’d meant to plant some shade-friendly plants there, but found that the slugs were really, really ravenous this year. 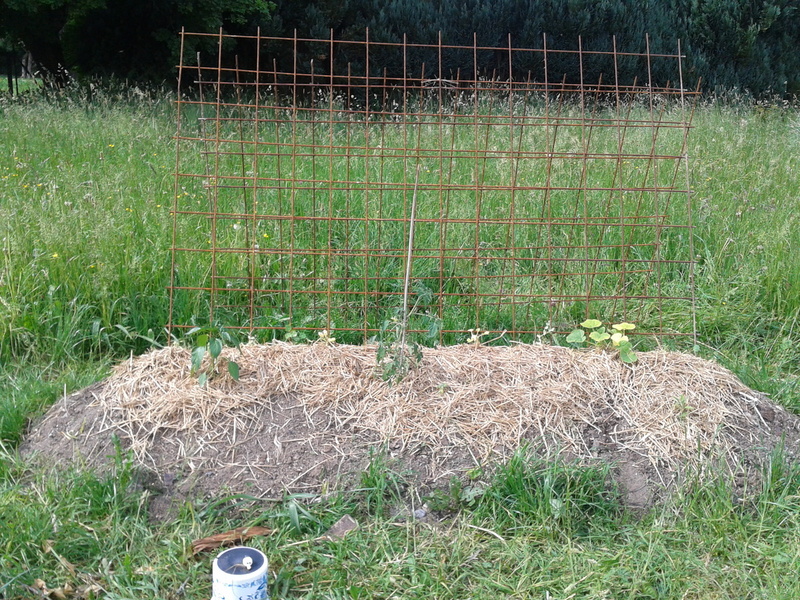 I replanted the other heap bed three times, and most of it still got eaten. Also I was too late and not very organised with preraising my plants this year, and so it was a bit of a half-hearted attempt. Still fun, though, and also still quite educational. 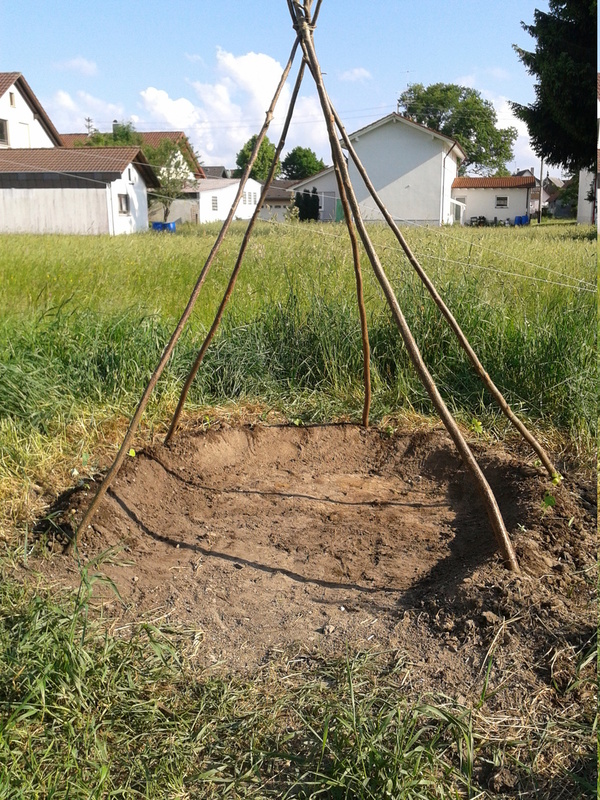 Since there was still some good soil left where the old dungheap had been, I decided to make a little plant tipi for the kids to play in in summer, hopefully. To make that story short as well: SLUGS. They just love sunflowers and cucumbers and watermelons. (By the way I used up all my remaining eco-friendly slug pellets by the end of June or so, and then really didn’t bother anymore. That’s probably the only reason anything I planted survived at all.) I later put in two black-eyed susans and a lovely, sweet-smelling type of vetch from the gardening store, and at least the susans are still there and doing well. 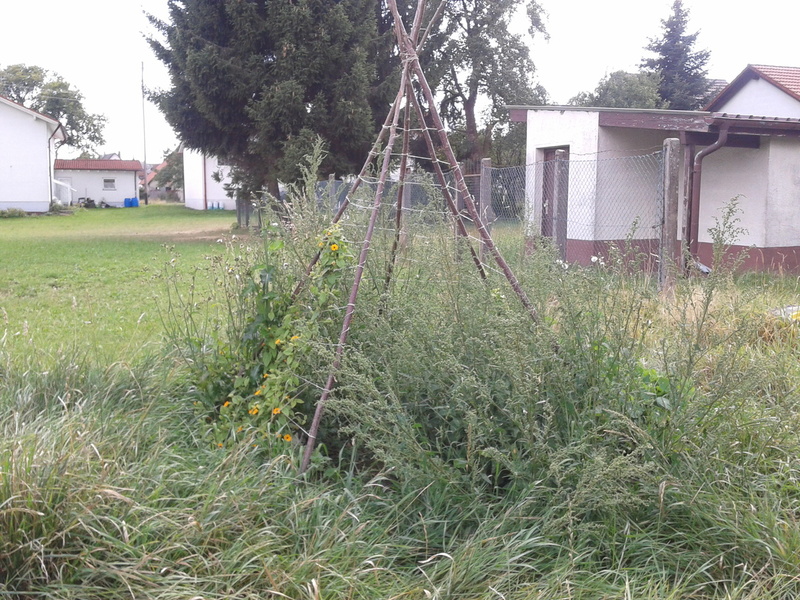 But the rest, especially the floor of the tipi, got so taken over by orache and other pioneers that I can’t see the rest. I had one plant there which gave us one nice cucumber, but I am absolutely sure that got eaten by the slugs at some point. 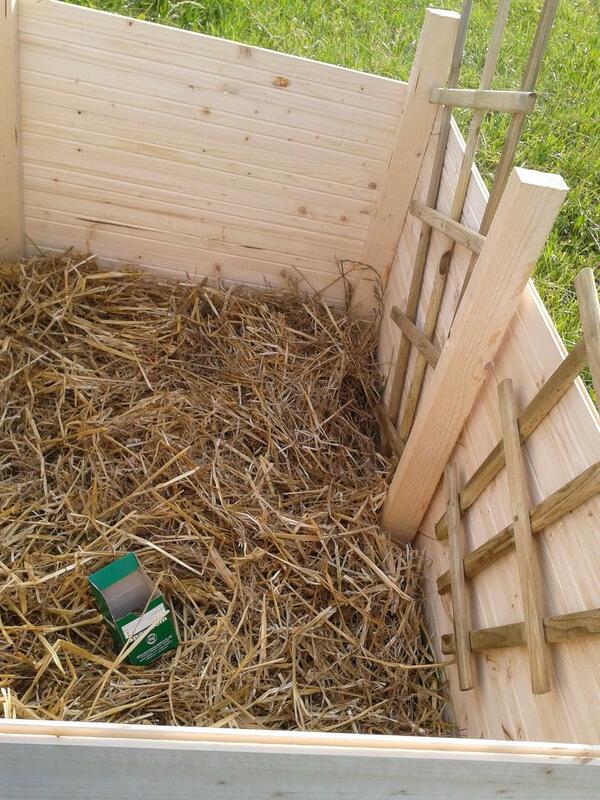 One last thing I did was make a small sweetcorn field (Bantam for the win!! ), I’d planned for 5×5 plants, but it ended up with a row of five followed by a row of four, another five, another four, and then three at the end. 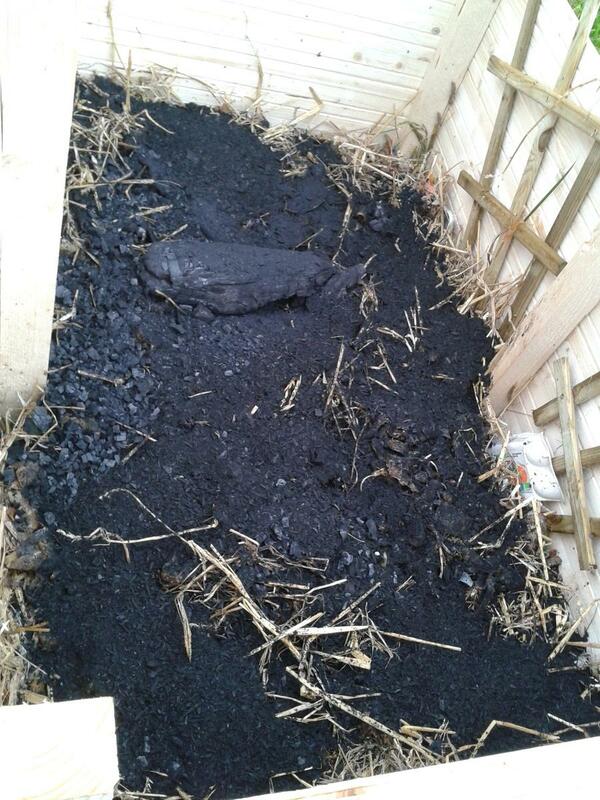 I made that bed just like the others, hacking up the old manure and adding some straw, then topping off with a thinnish layer of soil from the old dungheap. 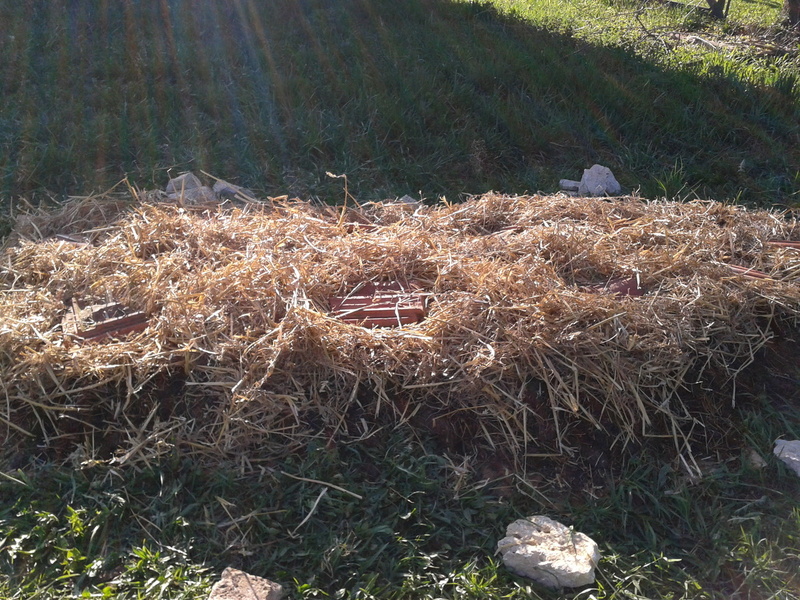 I also wrapped these plantlets in straw a little, but I didn’t have enough straw left for a thick layer of mulch. 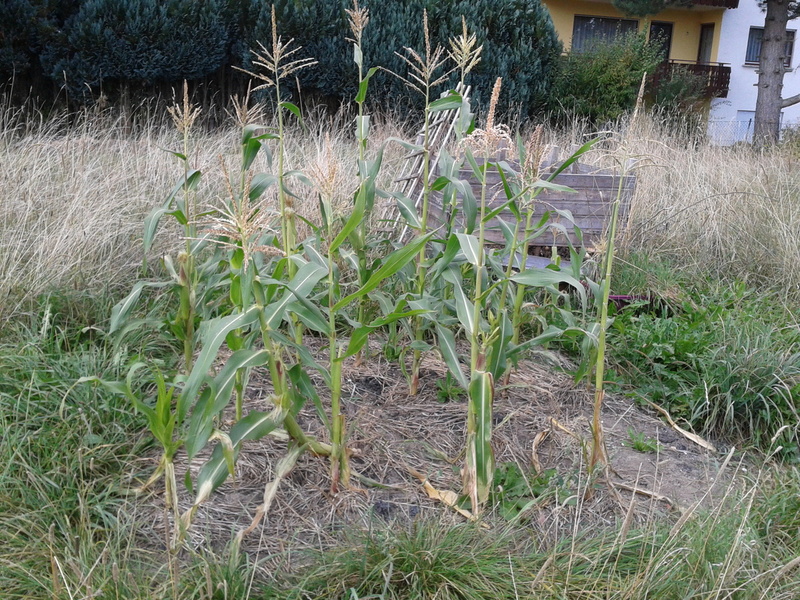 That little sweetcorn field has actually turned out to be quite a success so far: Apart from a little weeding at one time, when the empty corner was overrun by orache, and a little watering during a very hot and dry spell, I didn’t do a thing. 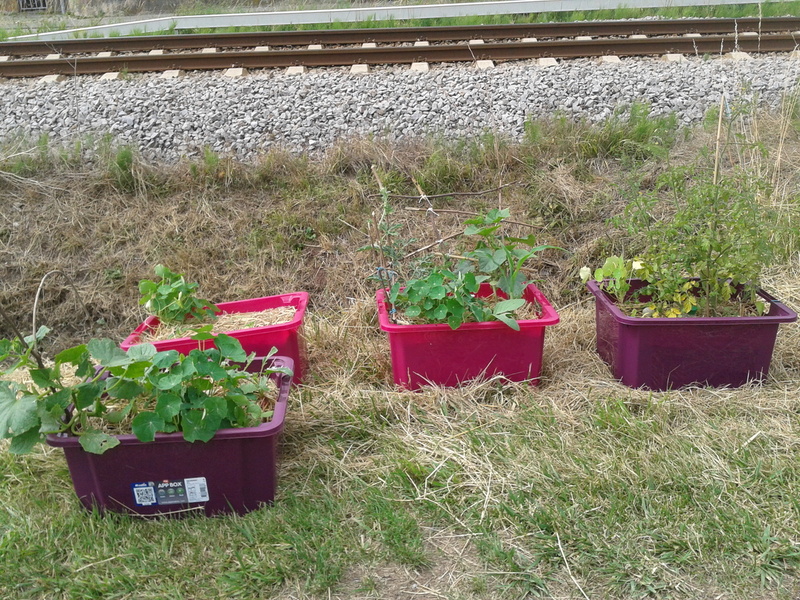 Most plants seem to have done moderately well even though the slugs went at those as well (after they’d devoured all their favourites like basil, pumpkin, peppers, ground cherry, and sweet potato)! 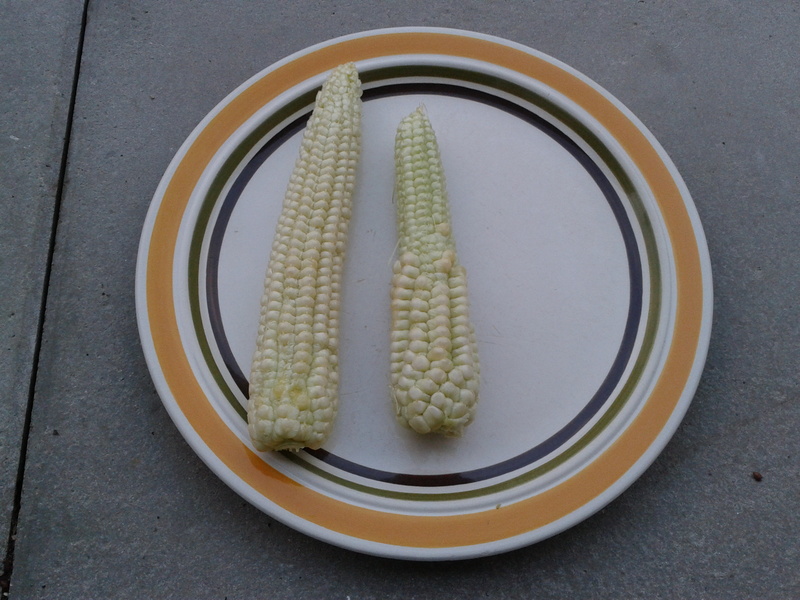 But as you can see from the pictures, even the two thickest cobs I could find weren’t anywhere near ripe. And we don’t get enough sun anymore now. It’s a pity (my kids and I love corn cobs)! But I really was late with my planting, so it was only to be expected. Next year I think I’ll try to do things properly and on time (though I still enjoyed the work and the experimenting).